Price € 875 p.m. ex. Unfurnished beautiful 4-room apartment of approx. 105m2 on the first floor with 2 bedrooms, with view over the canal. 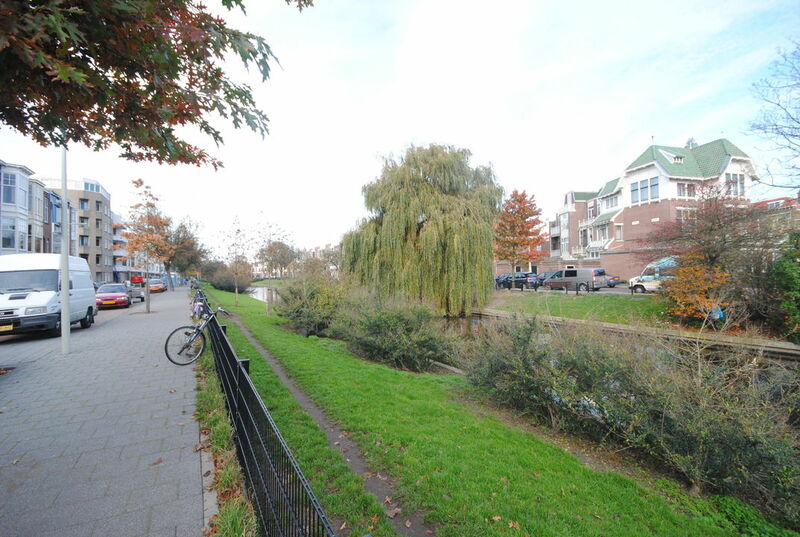 Perfect location within The Hague near to Kijkduin, Scheveningen and the city centre. Public transport very nearby and shopping area around the corner. Large living/ dining room approx. 13.50x3.55 and 2 bedrooms. 1st bedroom approx. 4.45x2.00. 2nd bedroom approx. 5.35x2.50. Nice bathroom with shower and washing basin. Separate toilet. Kitchen with several appliances. Large hallway approx. 6.30x2.15 with storage. Balcony approx. 2.50x1.00.